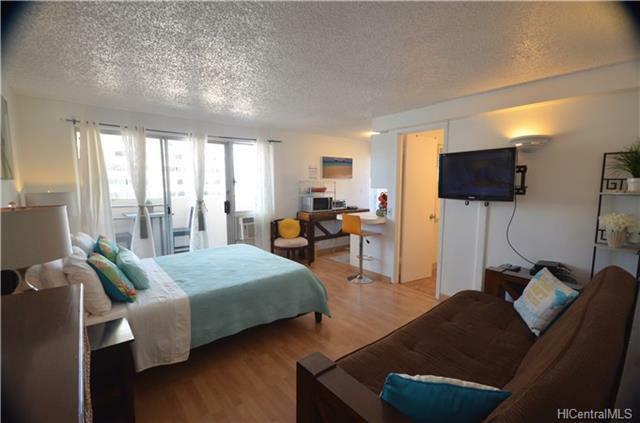 Furnished Studio in popular Kuhio Village, corner unit, 2 balconies with OCEAN/MOUNTAIN VIEWS located just steps to Famous Waikiki Beach. Great turnkey Investment Opportunity. 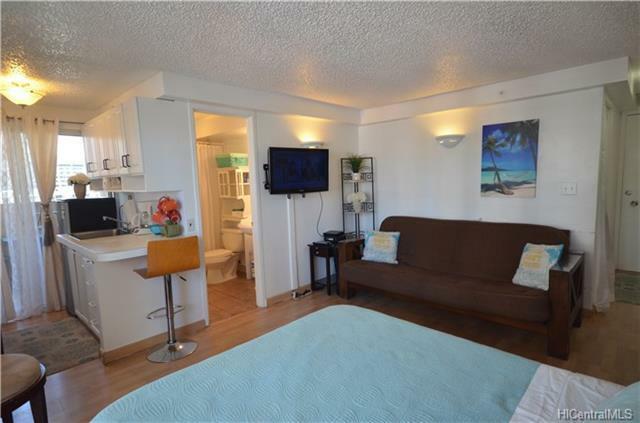 Beautifully remodeled & decorated which accommodates up to 4 guests. 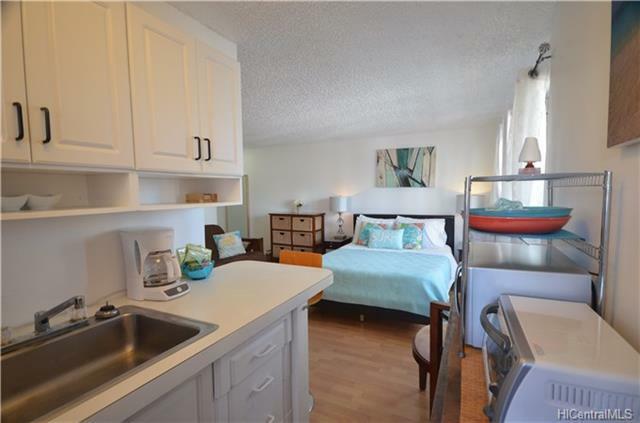 This unit has a kitchenette, 4-foot refrig, sink, cabinets, microwave, toaster oven induction cooktop, coffee pot and everything one would need. Coin Operated Laundry & 24 hr store on ground floor. 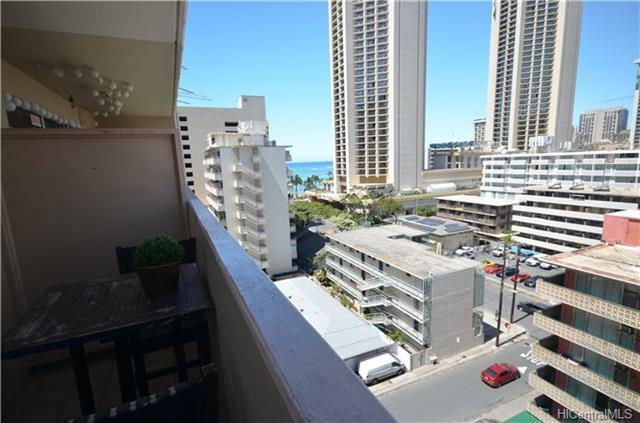 Located within walking distance to everything: Waikiki Zoo, Aquarium, Beach, Pantry Market, Hotels & Restaurants. Hilton Hawaiian Village, Duke Kahanamoku Lagoon & Ala Moana Mall are all a quick bus ride or 15-20 minute walk away. Close to buses, schools downtown and more. Listings provided courtesy of Exit Real Estate Associates.